Since making its grand entry into the market way back in 2000, the Amazon Kindle has continued to revolutionize the way we read. 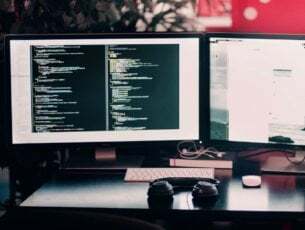 The latest releases come with unprecedented features to allow you better enjoy your favorite newspapers, magazines and every other digital media. Amazon has also joined the Black Friday bandwagon and revealed the first Kindle deals. As we do every year, we have compared them and found the best. Check them out below. The awesome Amazon’s 6” Paperwhite optimized display technology and the built-in light grabs the headlines here. It can display at 300ppi and using sleek fonts thanks to the maximized font technology and grayscale. Higher Resolution Display: The 300 ppi screen displays at clarity twice what you get from ordinary kindles. Built-in Adjustable Light: You can set the light to the most eye comfortable level when reading. Wi-Fi + 3G: Supports Wi-Fi (public and private) networks or hotspots on the standard 802.11 band and is secure thanks to the password authentication. VoiceView Screen Reader: This features an intelligent language text-to-speech voice conversion to help the blind and other visually impaired users. Multiple Content Formats: Natively supports Kindle (AZW), Kindle Format 8 (or AZW3), TXT, unprotected MOBI, PDF, PRC and through conversion HTML, DOC, DOCX, GIF, PNG, JPEG, and PMP. One of the devices trending in this year’s Black Friday kindle deals is the 6-inch glare free Kindle reader. And it has lots of standout new features in the latest design. I am talking about a Kindle which is not just 11% thinner but also 16% lighter than all the old generation Kindles. Plus, it’s one of the easiest and most comfortable on your hand. Easy operation: You can always switch between listening and reading. Eyesight-friendly: The kindle’s touchscreen display feels easy on your eyes. Don’t forget it’s also zero glare. Lasting charge: One charge lasts weeks. Taking the trophy here is the largest 7-inch, 300 ppi display screen which is one of the largest in the entire kindle family. The display is crisp and reads almost like ordinary papers with zero glare, all thanks to the antiglare ability plus laser quality text. 30% More Words: Kindle Oasis will fit over 30% extra words per page so there are fewer page turns. 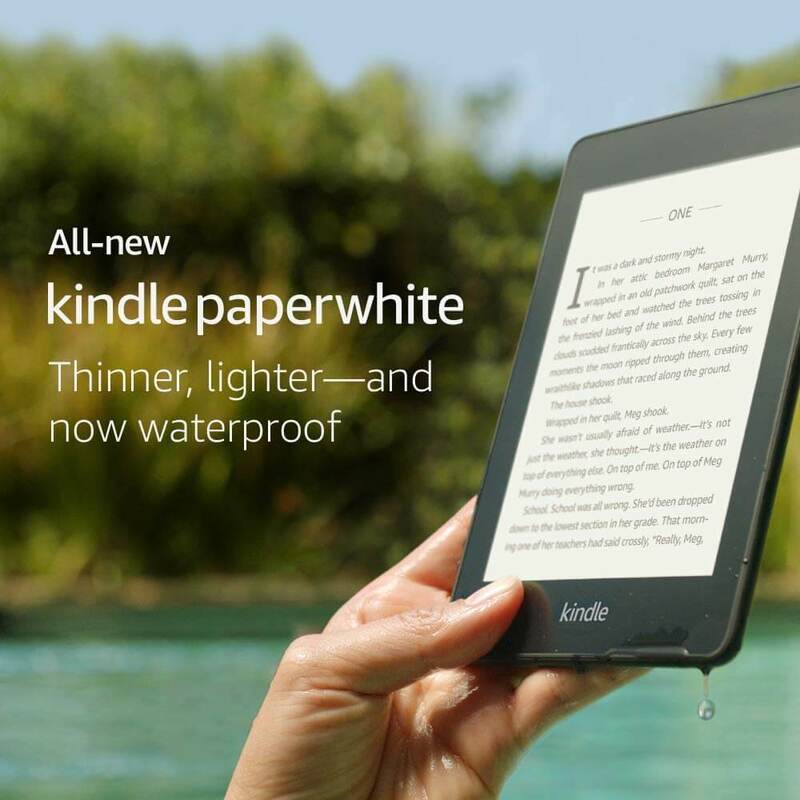 Waterproof: It’s the first waterproof Kindle (IPX8) so you can freely read even in drenched places. Audible: You can listen to the Amazon’s mammoth library of audiobooks by pairing it with Bluetooth speakers while on the go. Ergonomic Design: Its thin and light plus ergonomically designed with several dedicated page turning buttons and adapting front light to allow an even more comfortable read. Enhanced Storage: You can choose the 32 GB storage to hold more. This is Amazon’s thinnest and lightest Paperwhite Kindle yet. It’s sleeker, modern and has all the dream features to enable users to read comfortably for many hours. Additionally, it’s now waterproof. Glare-free Paperwhite Display: Enjoy a better reading experience. Flush-front Design: Reads amazing even in day sunlight. Up to 32 GB storage. Audible: Now comes with audible so you can listen to your stories. 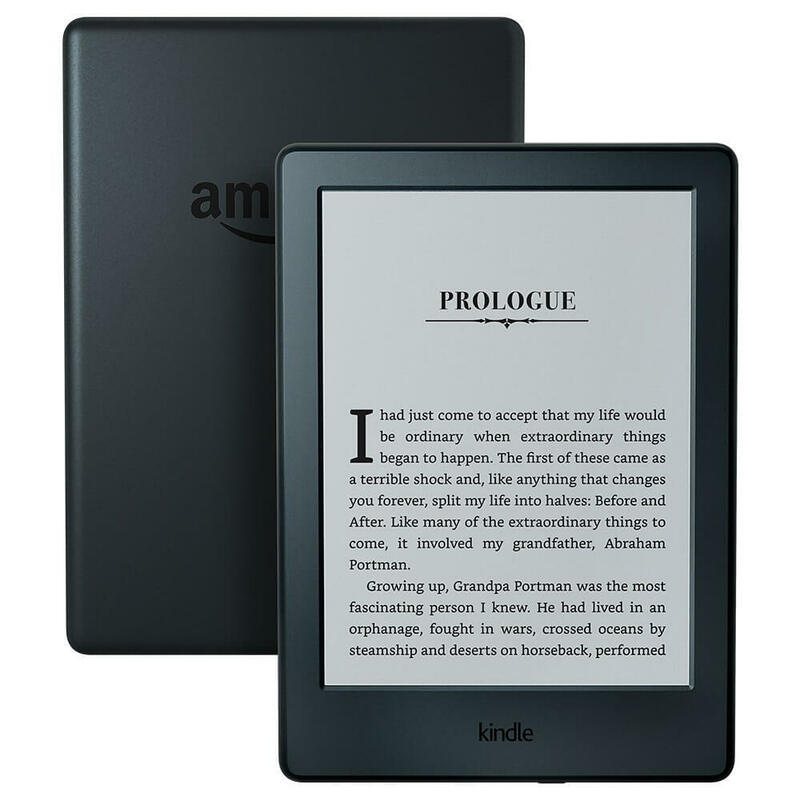 An upgrade on the Kindle E-reader – black, 6-inch glare-free model, this all-new device is another trend-setter and again takes your reading experience to the next level. It retains the best from its predecessor like the anti-glare in addition to incorporating a few surprises including a slimmer built. Electronic-ink Screen: The new Kindle has a new screen with a 50 % better contrast than other e-readers. Slimmer Design: The newer construction is 21 % smaller and at 8.5 ounces, as much as 17 percent lighter. 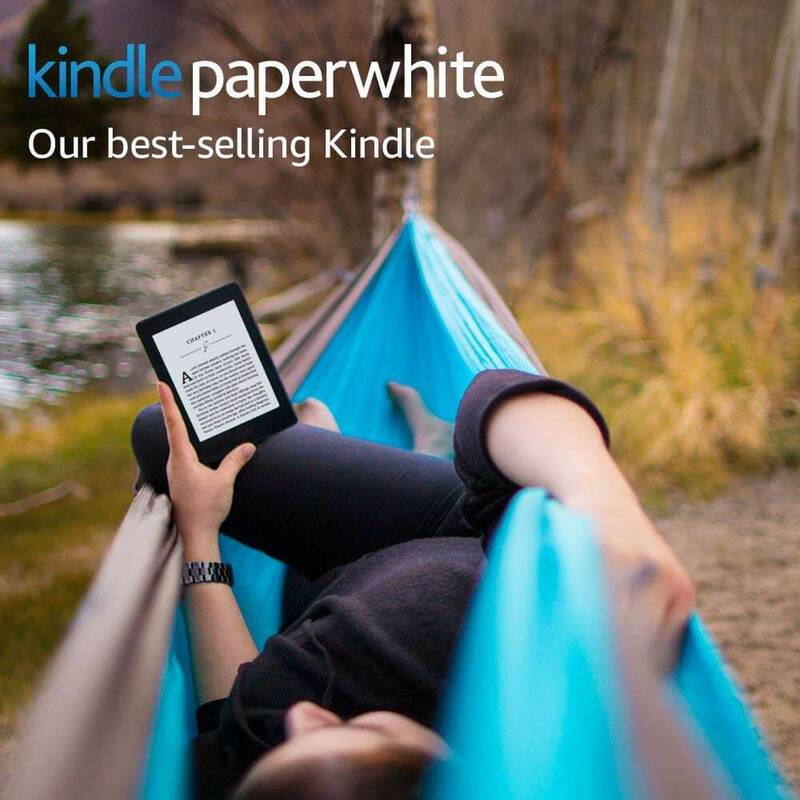 Faster Page Turns: This Kindle offers 20 percent quicker page turns for an enhanced reading convenience. More Storage: It has double the storage of the older versions and holds up to 3,500 e-books. Graphite Color Option: Graphite-colored kindles have been added. 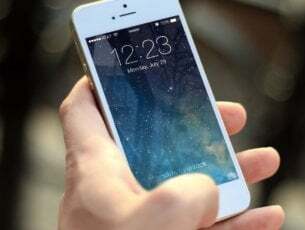 Longer Battery Life: One charge can give one month of uninterrupted reading. 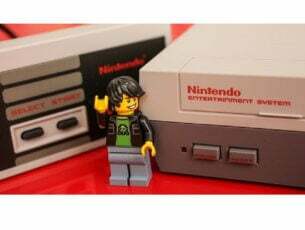 Update: This device is currently unavailable on Amazon. 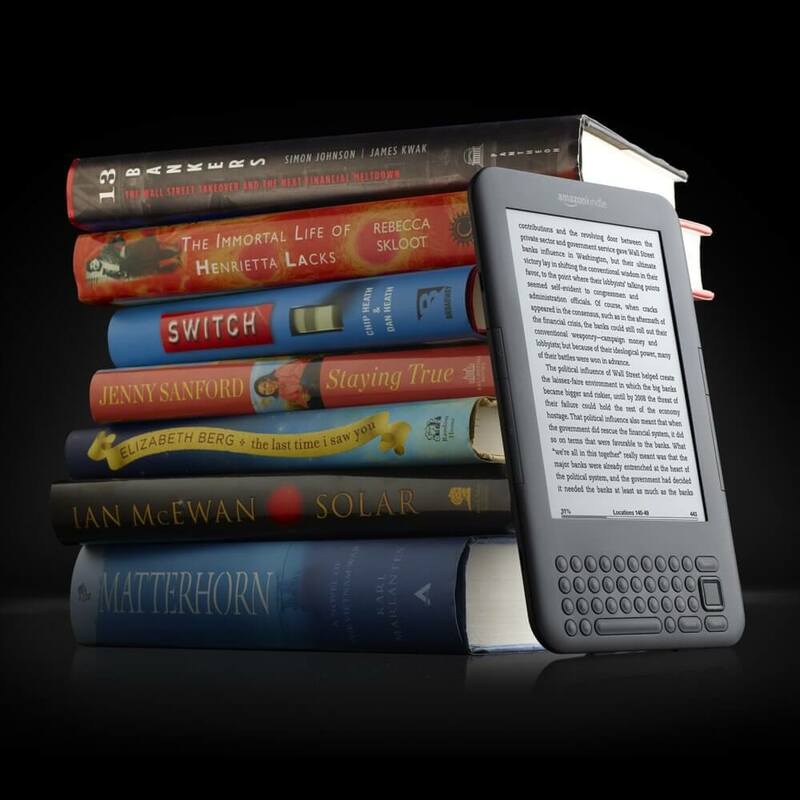 Amazon Kindle has over 6 million e-books and plenty of magazines, audiobooks, and comics. 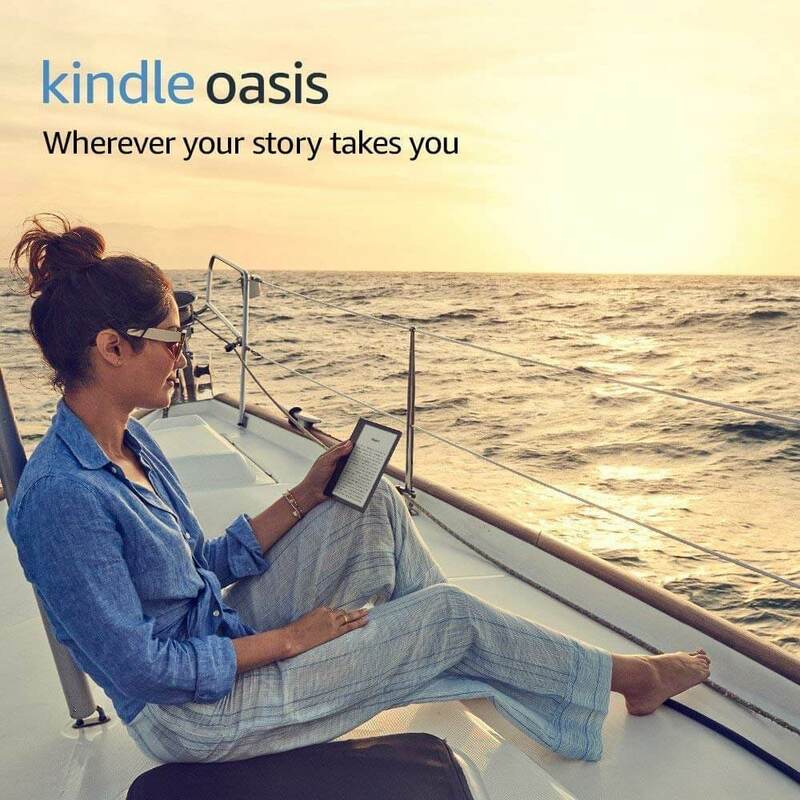 You can now get instant access to this festival of reads including new releases and global bestsellers by taking advantage of the above black Friday kindle deals.